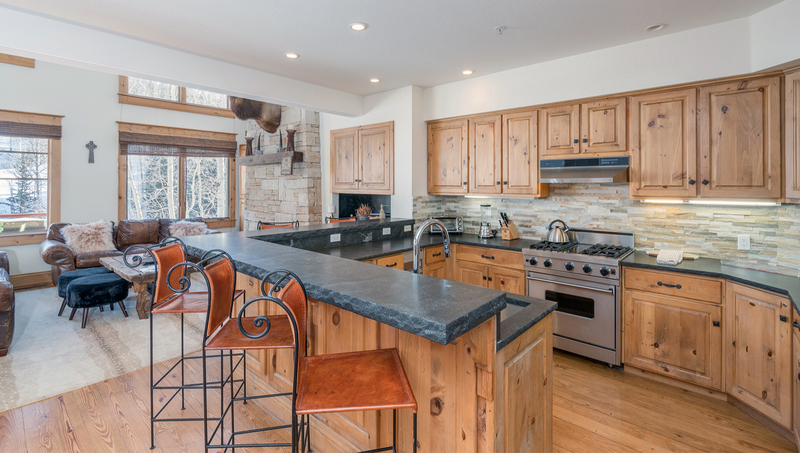 Elegant condo situated in the Mountain Village Core from an ideal ski-in/out location! Bedding: king bed, queen bed, queen bed, twin bunks and sofa sleeper. 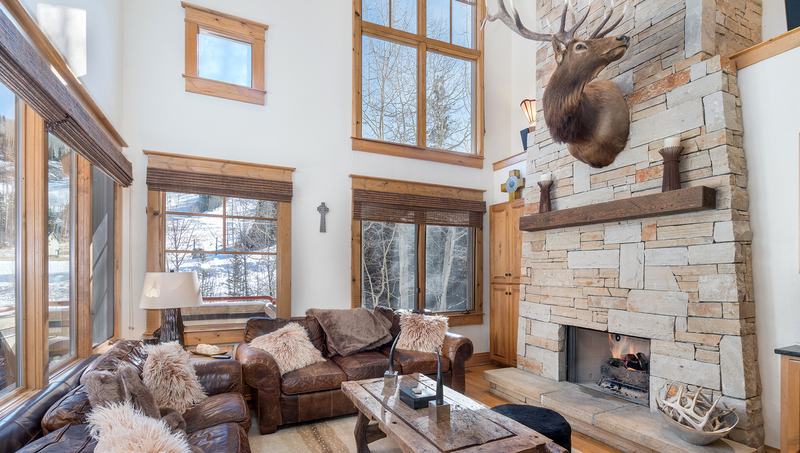 Walk into the spacious living room with leather furnishings, a large flat screen TV, a stacked-stone gas fireplace and walls of windows filling the room with natural light. 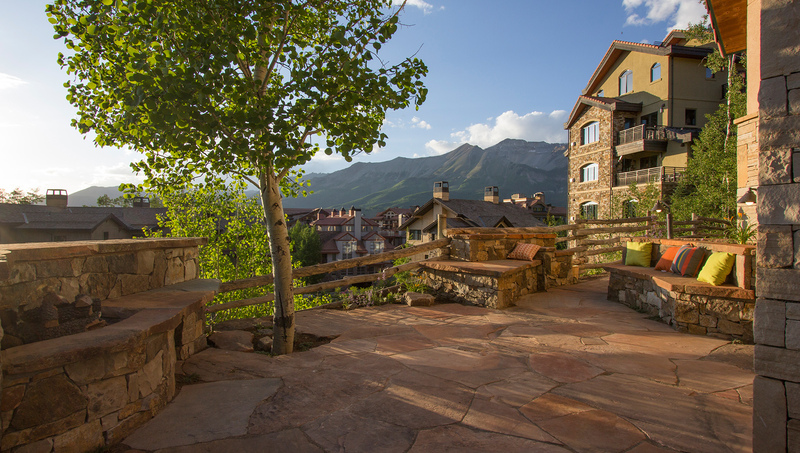 An expansive deck with front row views of the ski slopes wraps around the south end of the property. Open to the living room is the fabulous kitchen and dining area with seating for 6 guests. There is also a half bath on this level. The master bedroom is located upstairs with vaulted ceilings, king sized bed, flat screen TV and gas fireplace. The en suite bathroom has a separate shower and jetted tub. Downstairs are the remaining 2 bedrooms with a queen bed in each and attached baths with shower/tub combo. Each bedroom also has a flat screen TV. A bunk bed beneath the high stairwell on the lowest level provides two extra sleeping spaces. 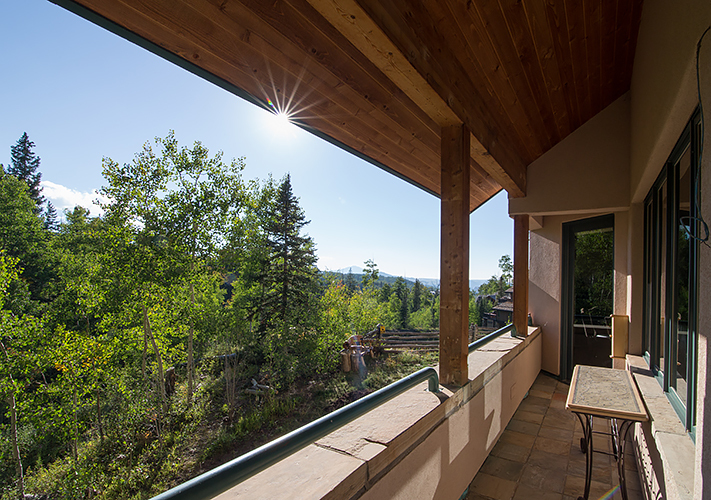 This condo is located in the Mountain Village core with easy ski-in/out access. It has a private washer/dryer, garage parking for 1 vehicle and private outdoor hot tub. Telemark is in a ski-in/ski-out location at the base of lift 4 in the Mountain Village Core, only seconds from the ski school and the free gondola to Telluride. You enter this three-level condo from the ground floor. Passing a staircase on your left you continue forward to enter the great room. The living room has leather furniture, a wet bar, a flat screen TV, vaulted ceilings and a gas fireplace. 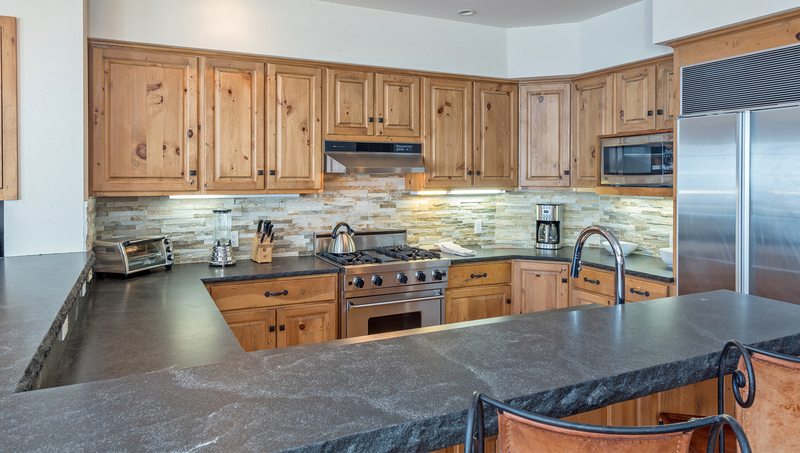 The fabulous kitchen, completely remodeled in 2014, includes stainless steel appliances, granite countertops and wood floors. The dining room table has seating for 8. Back to the entry foyer and the staircase up takes you to the master suite with a king bed, TV, gas fireplace and large walk in closet. 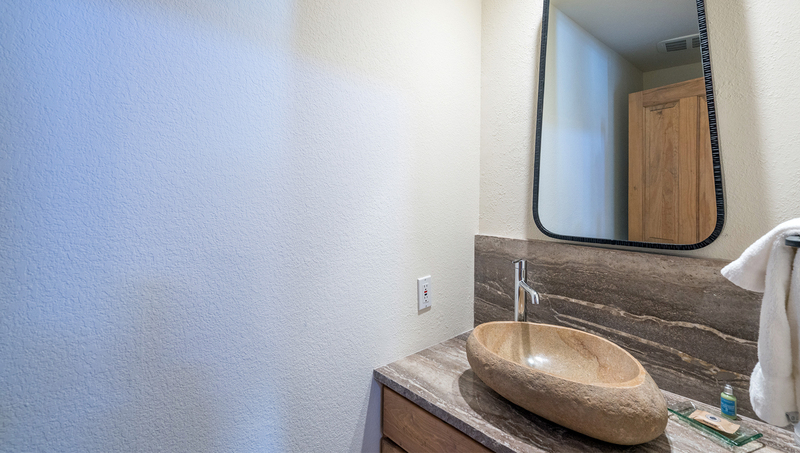 The master bath features double sinks, a steam shower and a jetted tub. There is a non-private loft located above the master bedroom with a full bed. On the lowest level of the property are the second and third bedrooms. The second bedroom has a king bed and a TV. There is an en suite bath with a shower only. The third bedroom has 2 sets of twin bunks and en suite with a shower/tub combo. 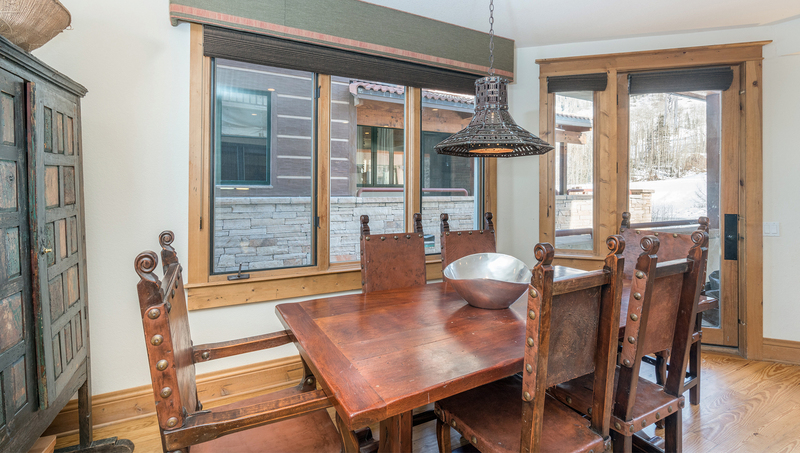 The back door from this level leads to a private patio and your ski-in/ski-out access. Telemark A has a private washer and dryer and one designated parking spot in the Telemark garage. Free wifi and Cable TV.